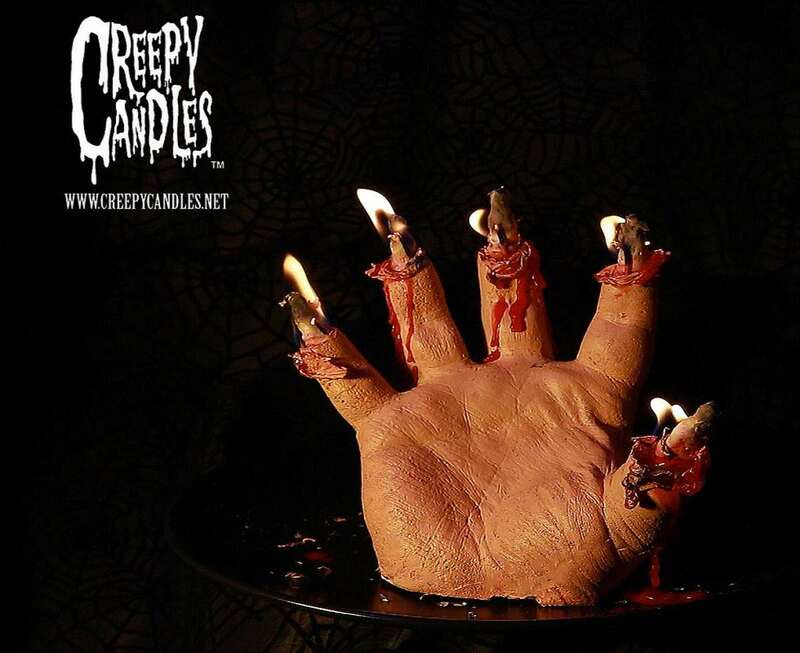 Now here's a bloody handy gift for Halloween. 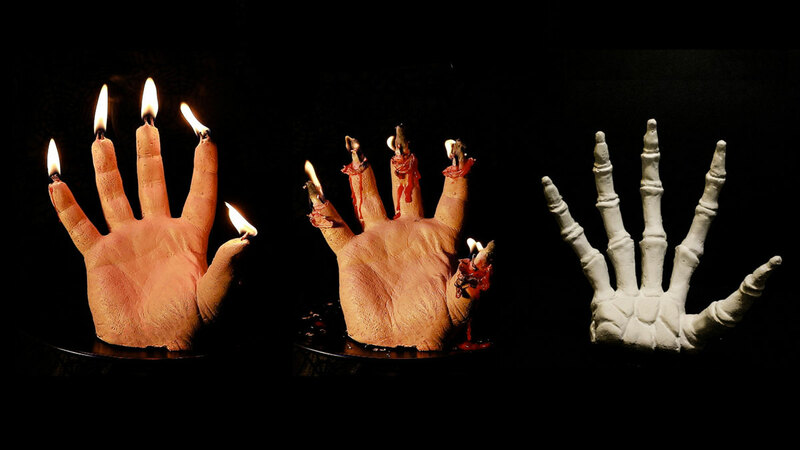 Bryan Lawrence makes these terrifically creepy candles, you guessed it, by hand, using flesh-colored wax for the outer layers of their fingers and palms, and blood-red on the inside. As the hand melts, the bleeding effect begins. For those more into organs than appendages, Lawrence also makes Brain Specimen candles (grapefruit-scented!) 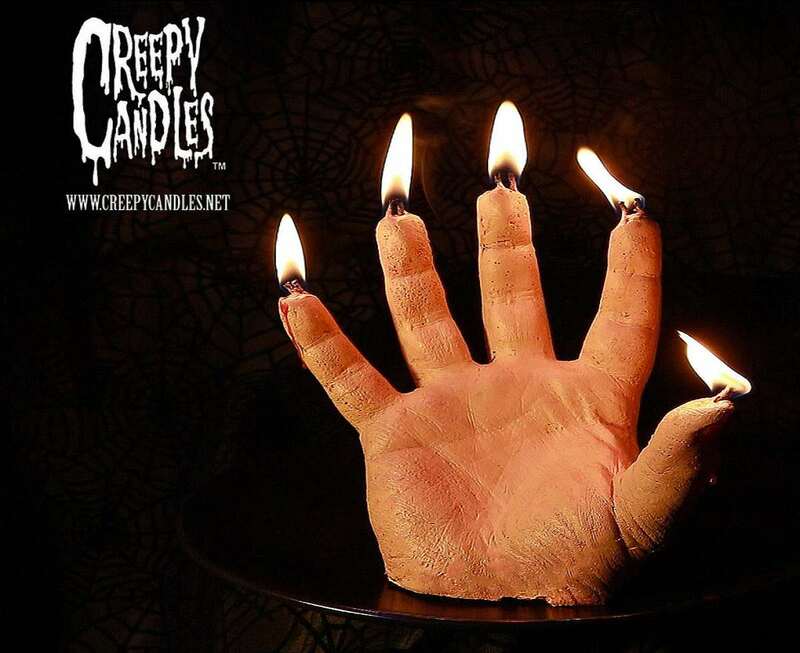 to complement his melting bloody hand candles.